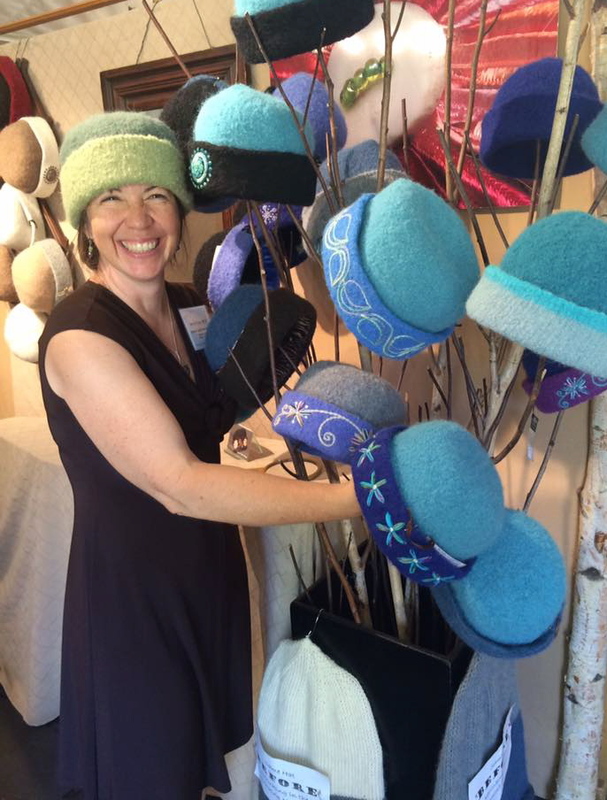 If you don’t follow my felt hats on Facebook, you likely missed some good news last week: my dreaded wrist cast is a thing of the past and I’ve been cleared for hockey boot camp (with a brace) – Hooray! Hooray! 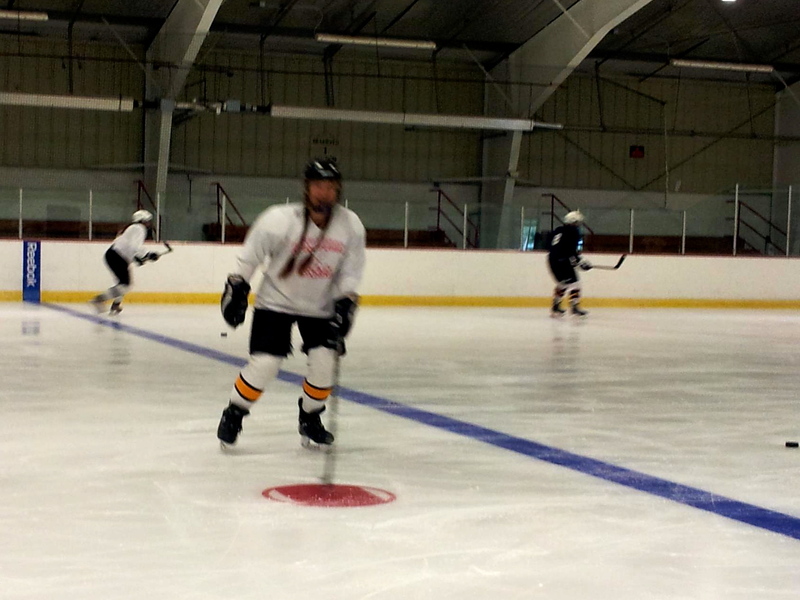 Practicing hockey stops & starts at Campion Rink’s Boot Camp 2012. The friendly resident at DHMC offered me the removed cast as a souvenier, but I was happy to see that veritable thumb-prison go — I only wore it for 3 weeks, but that’s still a long time to be without the opposable thumb on one’s dominant hand. 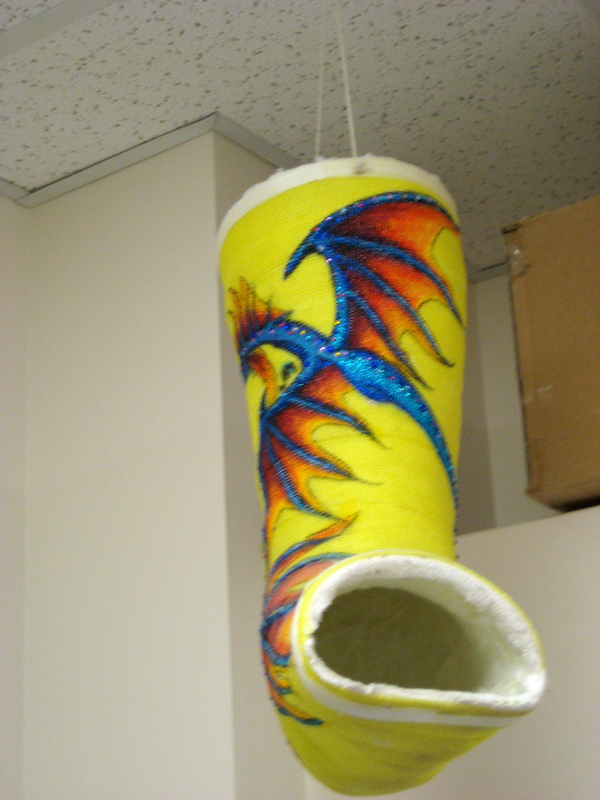 Love the glitter on this dragon foot cast! 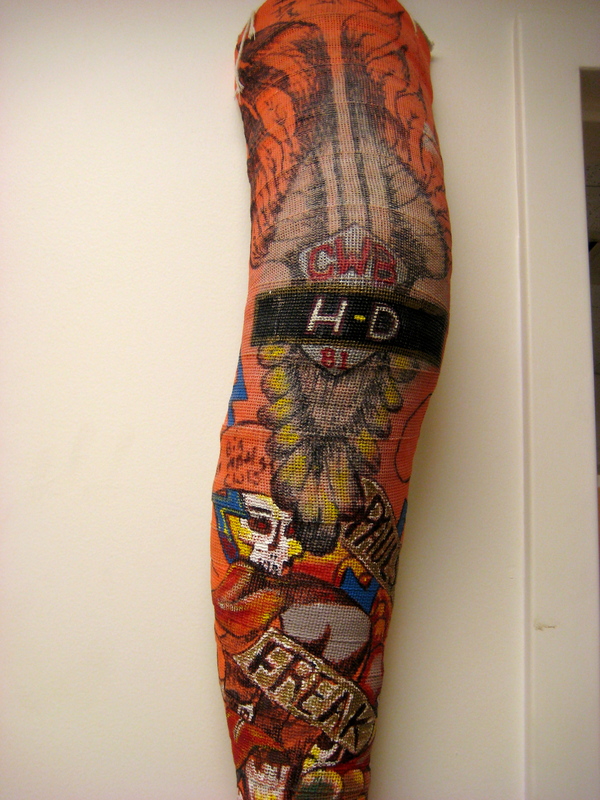 How about a faux-tattoo full-leg cast for the Harley fans out there? 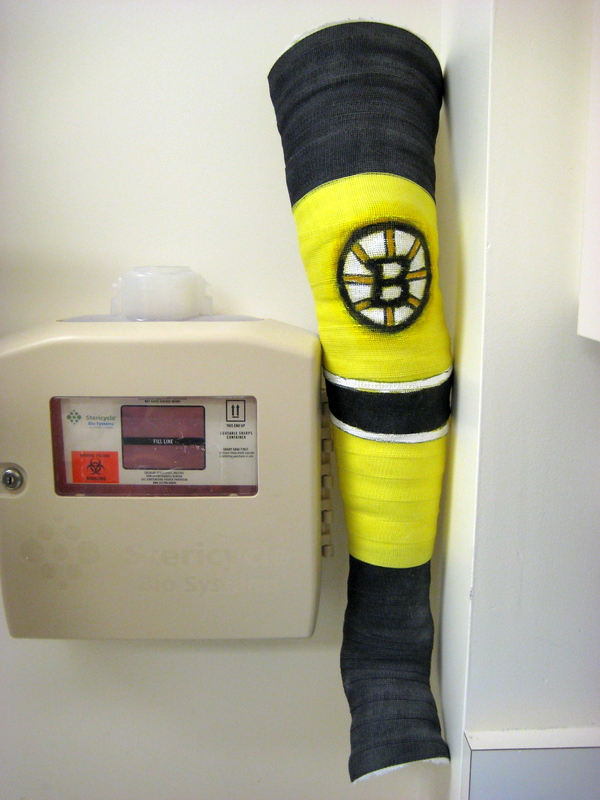 Wicked Killah: full-leg cast of black & yellow fiberglass, a Bruins hockey sock replica! Have you ever worn a cast? Did you decorate it or leave it plain? 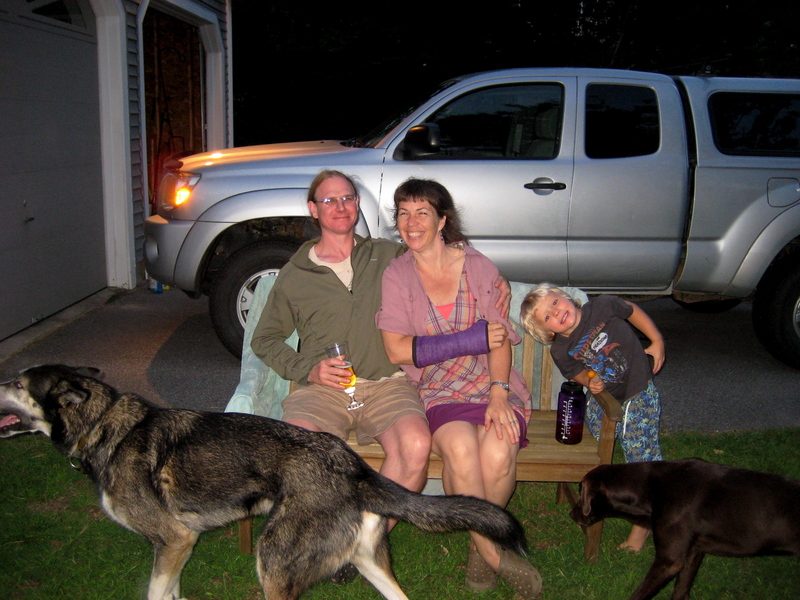 The day before this year’s Sunapee Fair, I fell off my bike & landed on my right wrist. It hurt, but wasn’t killing me. I took some ibuprofen & rubbed arnica gel on a newly-formed ganglion cyst on the back of my wrist. The 10-day fair was surprisingly busy for being so hot. 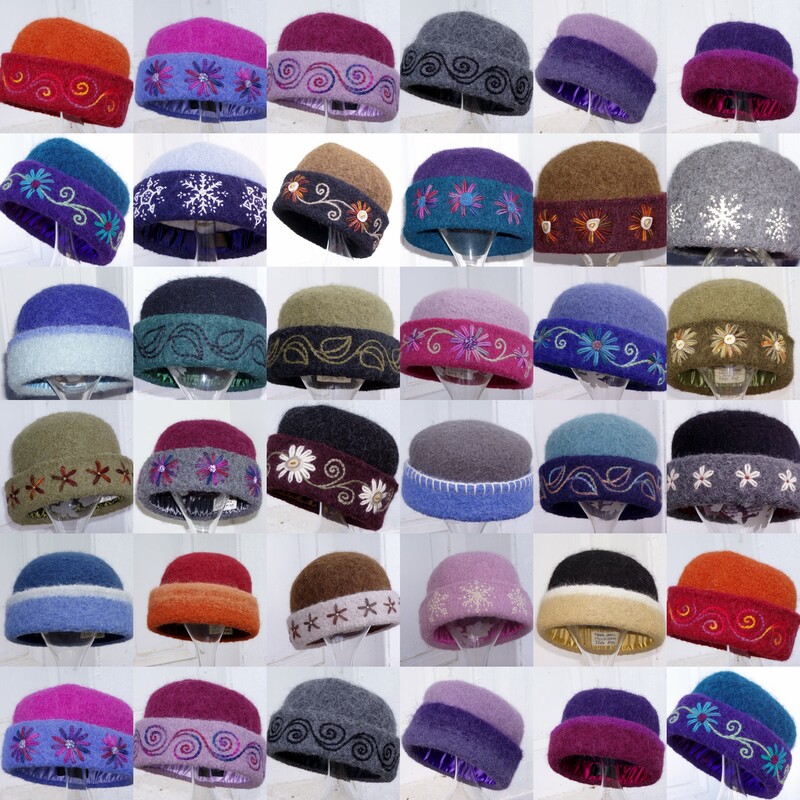 I stayed up late every night embroidering new designs. My wrist continued to ache, and seemed weaker. 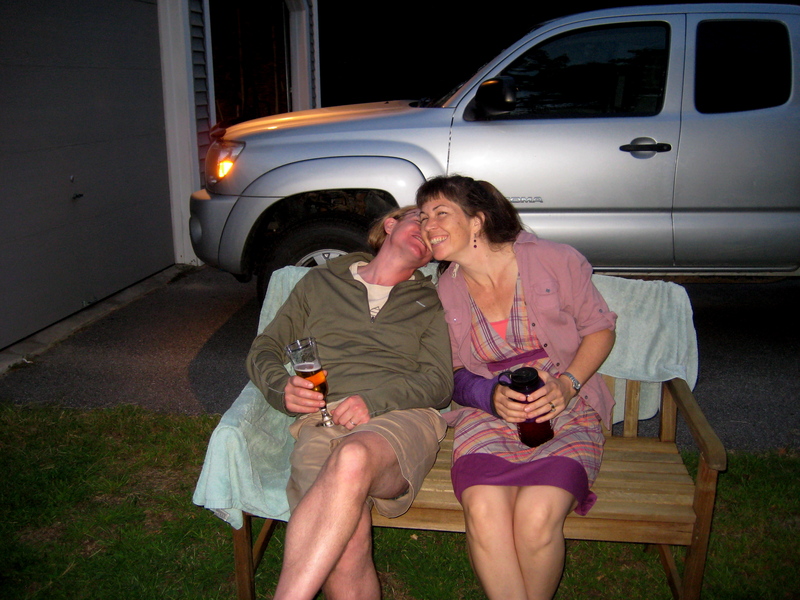 I celebrated my birthday and bemoaned the aches of aging. However, the x-rays came back and there it was: a hairline, non-displaced radial styloid fracture. Simply put, my wrist was broken! So that’s the bad news. Plus the fact that any & all knitting, sewing & embroidery is postponed until my cast is removed. The good news, though? It’s not a very serious break, and since I waited 3 weeks already, I’ll only have the cast 3 weeks more. How did that old hockey saying go? Andy’s 1st wrist cast was white. That’s generally what you get in the emergency room. 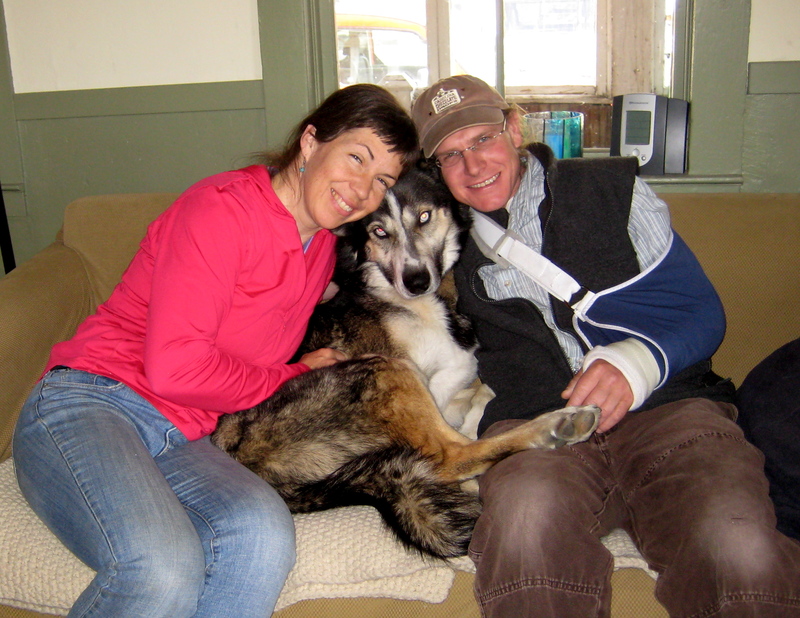 Two weeks later, due to normal muscle atrophy, Andy got a 2nd, snugger cast, this time, any color he liked. He chose purple. 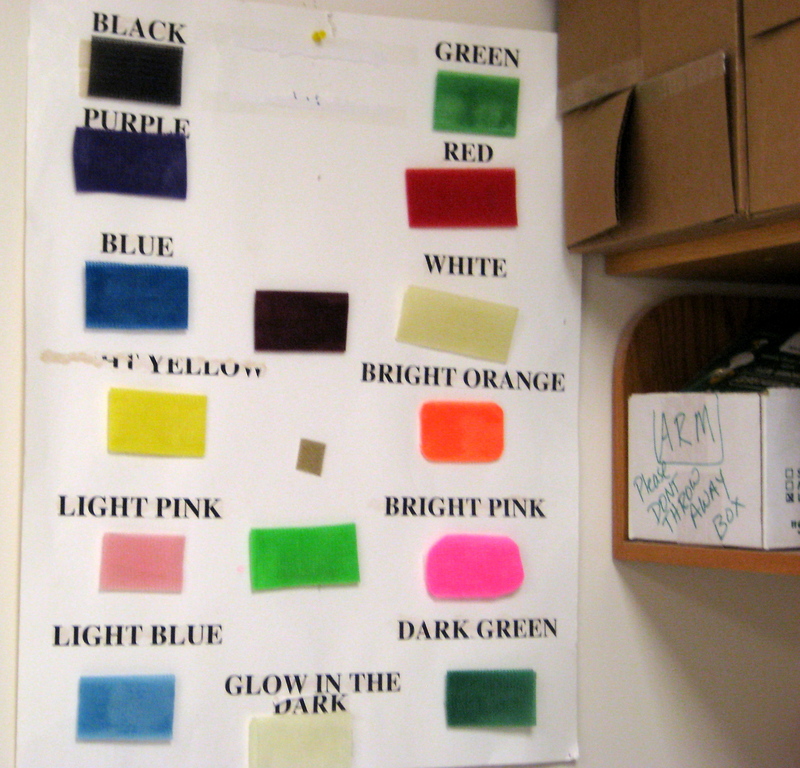 The cast color options at Dartmouth-Hitchcock Medical Center, in Lebanon, NH. 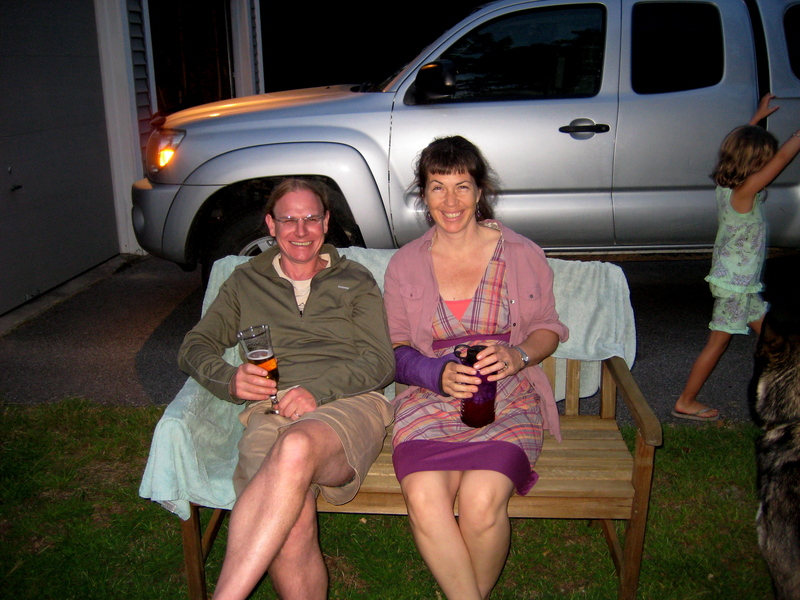 Over the following 4 weeks, Andy did a great job keeping the purple cast dry, through all of his light-duty yard work and special bagging and taping for every bath & shower. However, dishwashing was the eventual demise of Andy’s purple cast. 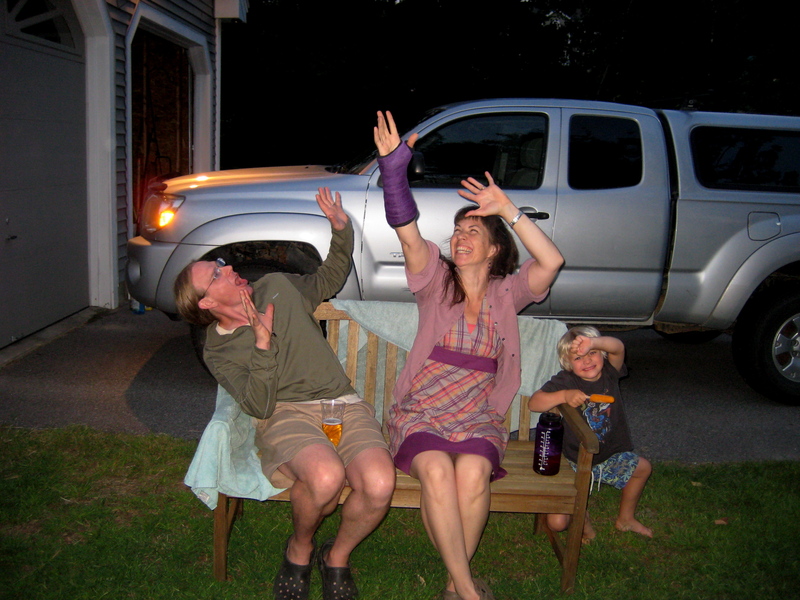 A wet cast is an unhealthy, unhappy place, so even though removal was officially scheduled for 5 days later, Andy got his 3rd cast just in time for our visit to Maine over Memorial Day. 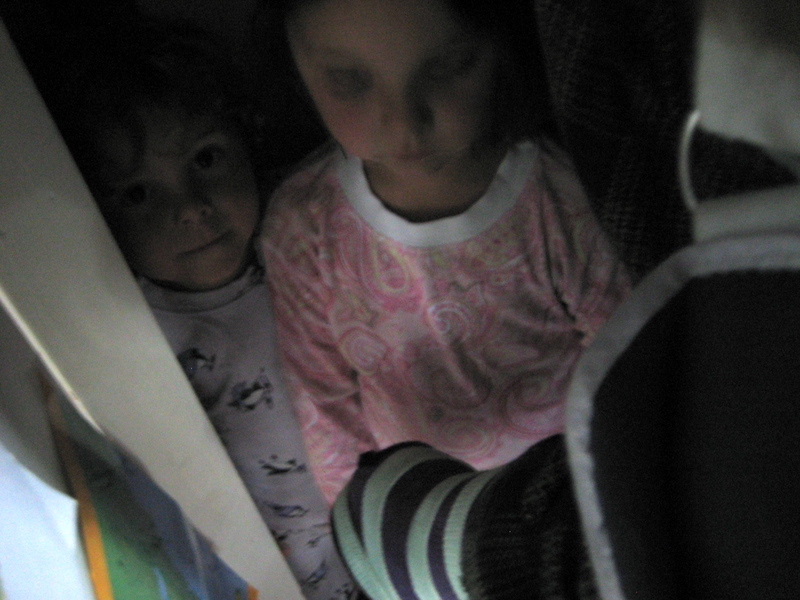 Fun as the 3rd cast was, though, it was with great anticipation and relief that this (hopefully!) final cast was removed last Wednesday! 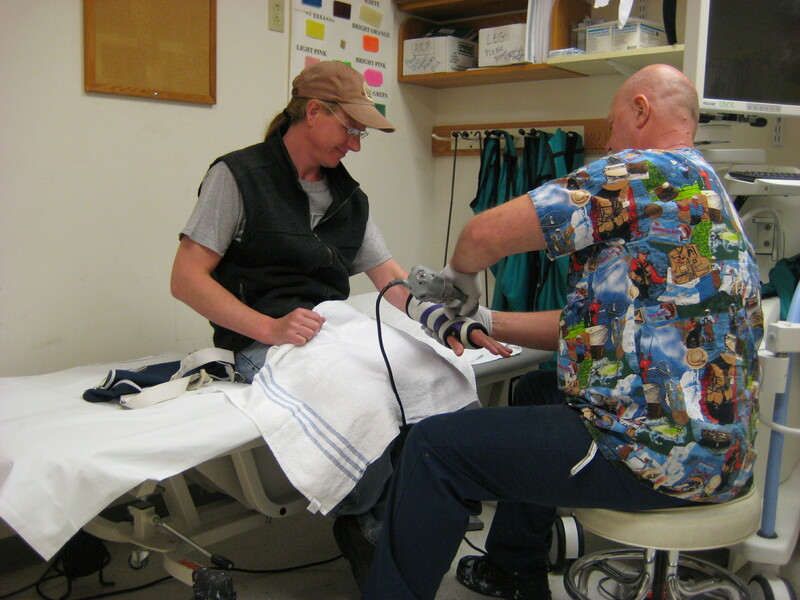 Cast removal with a special little rotary cutter… the big moment! Andy got more x-rays of his wrist and collarbone, which the doctors think look great (lots of hazy sections signifying active tissue re-growth). 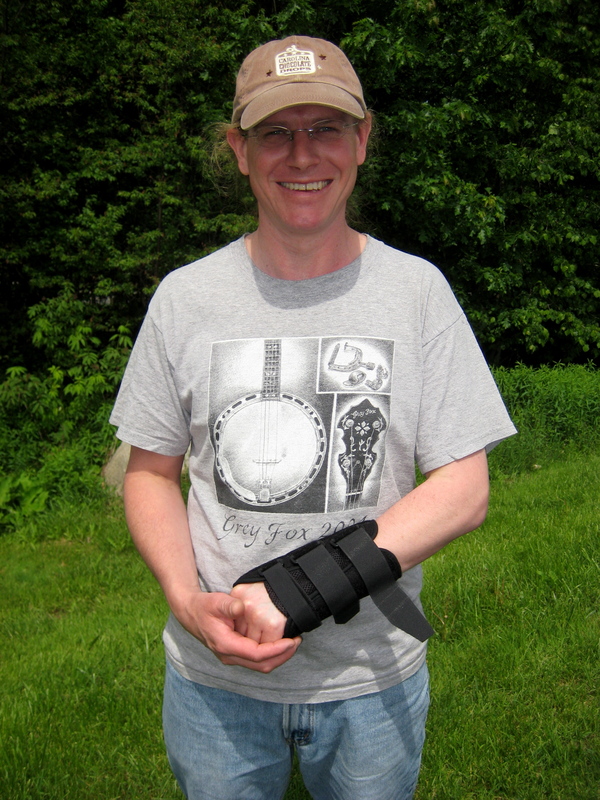 And best of all, the doctor prescribed a sturdy wrist brace, only occasional sling use, and immediate physical therapy for shoulder & wrist. Sporting his new wrist brace!